Getting back into loaves after our foray into scones, the bakers tackled Rose's Rye bread, studded with aromatic caraway seeds. 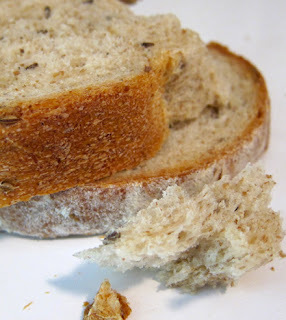 This loaf is recommended for anyone who wants an extraordinarily flavored bread with out of this world texture. Sheryl really outdid herself on this loaf. Absolutely stunning. We are always so happy to see her creations and be a part of our baking group! The rye bread took her out of her bread comfort zone with awesome results. She found yet another recipe to add to her rotation. 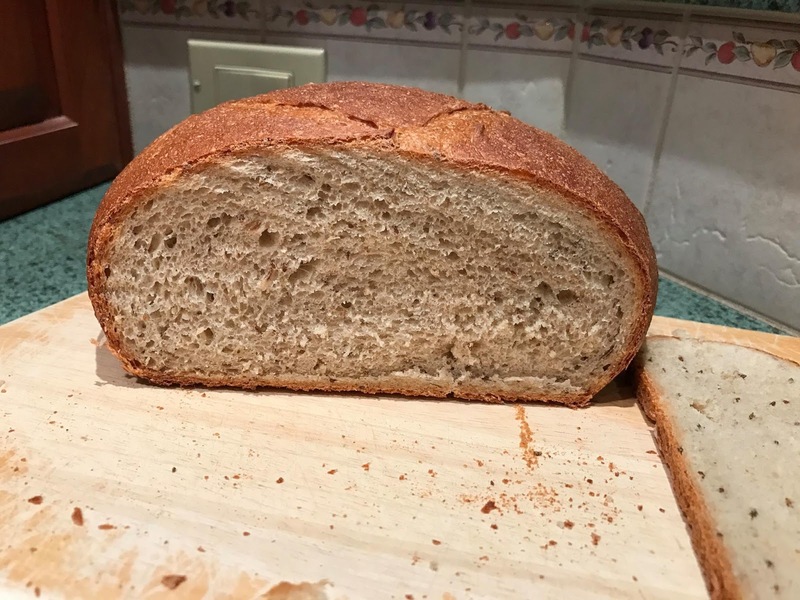 Laura's loaf has a fantastic looking crumb and such a beautiful shape! She was rightfully very proud of the shape and crunchy crust. Well done! Elle was excited to bake this bread and wasn't phased by multiple trips to different grocery stores in order to procure the necessary flour and caraway seeds. 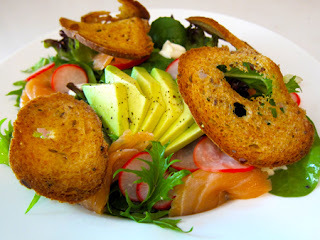 She thought the taste was stunning and loved it topped with Irish butter and radishes. Vicki thought this bread far superior to any other rye bread she's sampled before. Although the crust was a little done, it still crackled beautifully and the inside looks delicious. 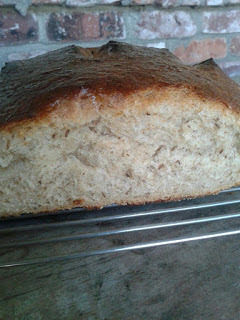 Jeniffer, we are pleased to say, had her bread epiphany this month - what a stunning loaf! Her fellow bakers completely understand the euphoria that happens when a bread loaf comes together and produces something just magical. This bread was scrumptious both on its own, and toasted into gourmet additions to salad in thin, toasted pieces. 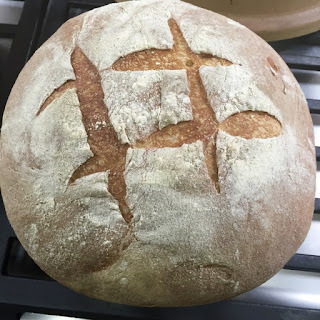 Everyone's bread turned out great! Fun Round Up! Thanks for the round up Elle. 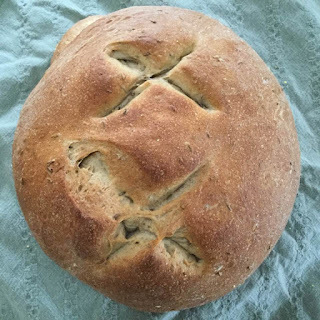 Looks like this bread was very successful for everyone. i got really behind due to the photography for the upcoming book. this is such an amazing posting. somehow i missed seeing some of the breads on the individual postings so now i can totally marvel at all the results! (this includes the prior roundup too) i especially love all the different shapes. i made two of the breads for the final beauty shots (full page) for the book--the multigrain loaf and the japanese milk bread and i have to say that bread is still my top favorite to make. it never gets 'stale'!! !